Failure to comply with the demands of the Revenue Commissioners can lead to a lot of stress for business owners. As the business environment (and its associated taxes and levies) becomes more and more complicated so can the taxation requirements. 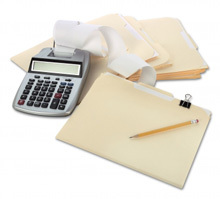 At Lynwood Resources we can manage your taxation burden. As registered tax agents, working with the Revenue Commissioners, we are in position to deal with the taxation authorities on your behalf. Whether you commence trading as a sole trader or limited company you will need to register for a number of different taxes. These can include income tax, VAT, corporation tax and payroll taxes amongst others. We offer a full taxation registration service whereby we will ensure you sign up for all the correct taxes. 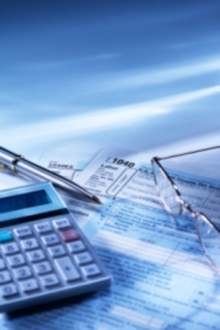 By starting off on the right track you will ensure tax compliance as your business develops. We are registered tax agents for a number of sole trader clients. We work with these clients to ensure that their annual tax returns are filed on time and that their taxation liabilities are minimised by ensuring they claim all the allowances and tax credits available to them. All personal tax returns are filed using the Revenue Commissioners' Revenue Online Services website. This ensures our clients can see their potential liabilties immediately and can pay their tax bill online at the same time. This removes the need for paper returns to be filed and processed saving time for both our clients and the Revenue Commissioners. We also work with PAYE clients to ensure their taxes are minimised. Are you sure that you are claiming all the personal tax credits that you and your family are entitled to? There are a range of tax credits that the Revenue Commissioners have admitted are not being fully claimed by Irish taxpayers - these include tax credits for private rented accomodation, tuition fees, health expenses, trade union subscriptions and service charges amongst others. We have successfully obtained a number of refunds for clients following a review of their personal circumstances. We will file tax claims on your behalf using the Revenue Commissioner's Online Services. As all our returns are filed electronically, refunds can be obtained for clients in a matter of days. VAT: If you are registered for Value Added Tax then you will have to make periodic VAT returns to the Revenue Commissioners. These may be required as often as every two months. As registered Tax Agents we can relieve the burden of your VAT returns by preparing them and filing them online using the Revenue Commissioners' Revenue Online Services. You may also be required to submit extra information if claiming a refund of VAT. We can liaise with the Revenue Commissioners to answer their queries and obtain your refund as quickly as possible. Corporation Tax: Limited companies will have to file an annual corporation tax return. We can work with you to prepare the return and minimise any corporation tax liability your company might have. We will file your return electronically for you ensuring accuracy, timeliness and completeness. Payment of liabilities using the Revenue Commissioners single debit authority facility can also be arranged.